I was introduced to MeetUp recently. It's an online social networking portal that facilitates offline group meetings in various localities around the world. I joined last month and among the (very) few groups I signed up for is a book club. I have never been in a book club before and I was quite looking forward to it. 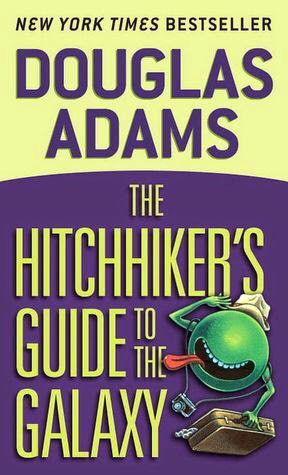 The book for June last month was Douglas Adams' The Hitchhiker's Guide to the Galaxy. It was an interesting read, but it took me quite awhile (12 days!!!) to complete it. As it is with science fiction, I tend to get lost more easily and I have to pay more deliberate attention. Moreover, I made a big mistake in checking out IMDB on its movie. I found that Martin Freeman played the protagonist role of Arthur Dent. It kind of spoilt the book for me. Don't get me wrong - he is one of my favourite actors, but having his face in my mind as I read the book definitely muddled my reading experience. I did finish the book in time for the meet up but I didn't go. I must say I was suddenly not very keen in meeting 21 strangers all at one go. When I RSVPed, it was only about a dozen people. But it ballooned up to over a score and sadly, I chickened out. 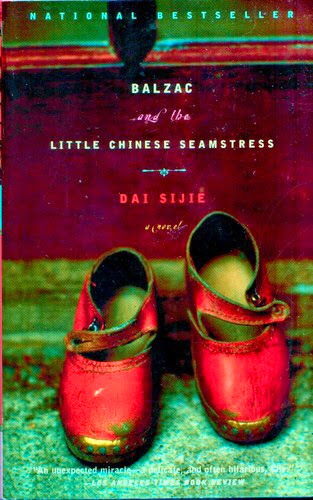 For the month of July, the designated book is Dai Sijie's Balzac and the Little Chinese Seamstress. I thought I'd give the meet up one more try. So I started reading it today. I loved it! It isn't that long a book with only 184 pages--I finished it in one day. And doesn't the book cover look amazing as well? Compared to The Hitchhiker's Guide to the Galaxy, I think this book may be more interesting for discussion. It talks about two boys undergoing "reeducation" during the Cultural Revolution period in China. They were sent to a mountain village and there they met a tailor's daughter whom they nicknamed The Little Seamstress. It is a becoming of age story set in the background of China's revolution period but without the usual escapism theme in books about the Mao regime, which was good, since every book I read of that era talks about almost the same things. This instead revolves around the lives of the two boys growing up and getting to know this girl and their adventure in stealing banned books to read. What more, I simply love books about books.